Try this Baby Cereal Pancakes Recipe for a Breakfast, Lunch, Dinner or Snack for Baby and the Whole Family too! Baby Cereal Pancakes are great for using up any leftover commercial baby cereal. 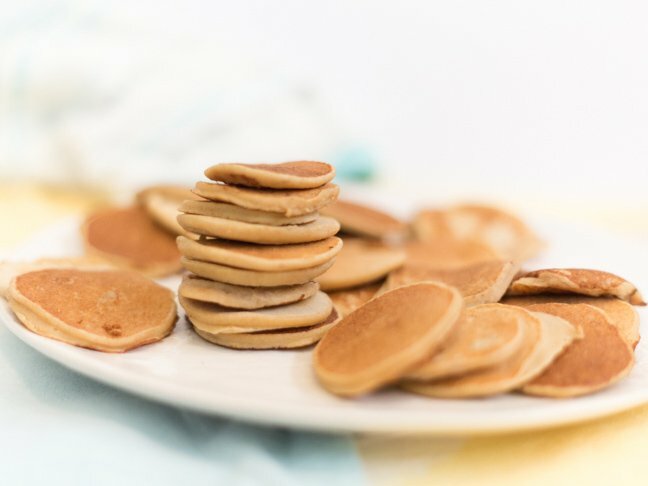 Make your baby or toddler these baby cereal pancakes and get some extra nutrients in with this tasty recipe. And don’t be shy, try these for the whole family too! 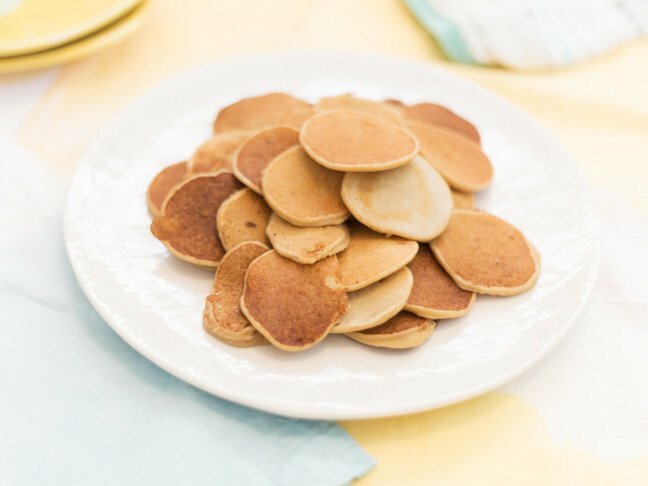 This recipe for baby cereal pancakes is a tried and true recipe. I have even included my own hints and tips for making these pancakes below as well. Baby Cereal Pancakes Recipe – read below for extra hints and tips. Baby Cereal Pancakes can be great finger food. Add cinnamon, nutmeg, dash of vanilla or other flavorings if you wish. Step 1: Mix all ingredients together and add enough juice to make pancake consistency. Step 2: Cook on your cook top in a frying pan as you would with “regular” pancakes. Cooking these baby cereal pancakes on a griddle will work better as you will have more control over the temperature and will be better able to keep the temp. at a constant heat. Try it with the banana flavored baby cereal. Very good. Add 1/2 cup mashed pumpkin – total YUM! Please ensure proper supervision when your feed these to your baby or toddler. The pancakes and their “Cakey” ness may pose a choking hazard. What type of pan are you using to “fry” the pancakes on? From experience, teflon coated pans that are thinner tend to heat very quickly and thus may cause the outside to burn whilst the inside remains runny or gooey. We find that our best pancakes are cooked on a cast iron skillet (and you get the additional benefit of iron.) or on a heavier pan. Using a heat setting right at medium (5 on the dial of our stoves and 6 on the dial of another contributor’s stove) or just a tad under medium has worked well for all of us too. Are you using any type of coating in the pan? Many times this will be the cause of burning on the outside as the coating heats up and then burns the pancake prior to cooking it. Are you using whole wheat flour or a refined “all purpose” white flour? The density of the flour used may affect the ability of the pancake to cook thoroughly on the inside. Whole wheat flour will make the pancakes heavier and more dense due to lower level of gluten; what you have is the “rubbery” type texture. Many people who never cook with whole wheat flour are unaware of this issue with whole wheat flour. You could try to substitute 1/2 of the wheat flour with 1/2 all purpose. You could also add some baking powder if you like so that you will get a less dense and more “fluffy” pancake. I believe it is 1 tablespoon of baking powder to every 1 cup of whole wheat flour. If you are using a “whole grain” baby cereal, this may also make the pancakes more dense and heavy; further yielding a more rubbery texture. Visit our Wheat and Egg Substitutions page to learn about alternatives to wheat and egg products in your baby’s food.